When you want to be a better athlete, musician, or student, what do you do? Practice, practice, practice. The same is true of being a Christian. It is hard work! 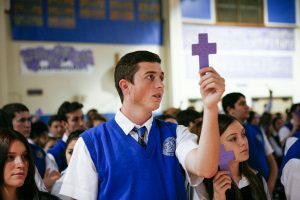 Although we can and should practice our Christian living all year, Lent is a time to more intensely focus our energy on how we can do, and be, better in the world. Think of Lent as training for Christian living!